We rely on our feet to carry us every day, but sometimes our feet are plagued with painful conditions that can make walking and standing uncomfortable — even unbearable. 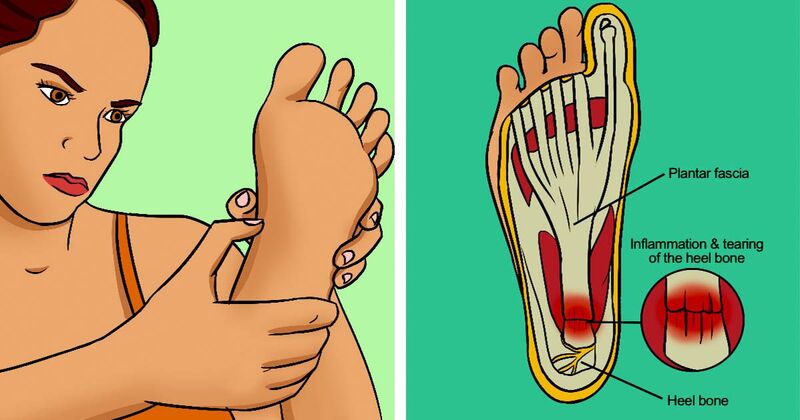 You've probably experienced at least one of these common foot problems before. Even if it was just a blister, you understand the terrible pain it can bring. But there are other, more serious foot conditions that are quite common. Everything from itchy fungi like athlete's foot to painful and swollen conditions like bunions can greatly affect your quality of life. Here you'll find information on what these common foot conditions are and how you can best treat them. Everyday Health says this condition is caused by a fungus that leaves a white, scaly rash on your feet, with uncomfortable symptoms like itching, burning and peeling. You can avoid athlete's foot by keeping your feet and toes clean and dry — and making sure to change your socks and shoes regularly. If you do end up with the fungus on your feet, over-the-counter antifungal treatments can help. But if it doesn't go away, make an appointment with your doctor. The Mayo Clinic explains that plantar fasciitis is one of the most common forms of heel pain, causing inflammation of the plantar fascia tissue that connects your heel to your toes. The pain is described as a stabbing pain that usually starts with your first steps in the morning and diminishes as the day goes on. It's common in runners and those who don't wear shoes with proper support. You can manage the pain of plantar fasciitis with pain relievers like ibuprofen, and your doctor may prescribe physical therapy or stretches to help strengthen the muscle. You might also be prescribed heel cups to better support your feet — and in extreme cases, surgery. WebMD explains that a bunion is a bony bump found at the base of your big toe. A bunion often causes the other toes to squish together, throws the foot bones out of line and causes pain and pressure in the foot. You can take pain relievers, get custom shoe inserts to make walking more comfortable and, for ladies, avoid wearing high heels. In extreme cases, surgery may be required. Everyday Health says that blisters are soft pockets of raised skin filled with fluid, but you should avoid temptation and not pick at them. Instead, clean the area and poke it open with a sterilized sewing needle; then patch it up with a bandage. Or cover it up and wait for the blister to break on its own. This form of arthritis usually affects the largest joint of the big toe, causing pain, stiffness, swelling and redness. WebMD says gout is caused by too much uric acid in the body, which causes painful crystals to form in the joints. Gout comes in waves that can last just days, but sometimes weeks. You can treat it by taking anti-inflammatory drugs or certain uric-acid-lowering medication. Your doctor might also prescribe diet changes to help lower uric acid.